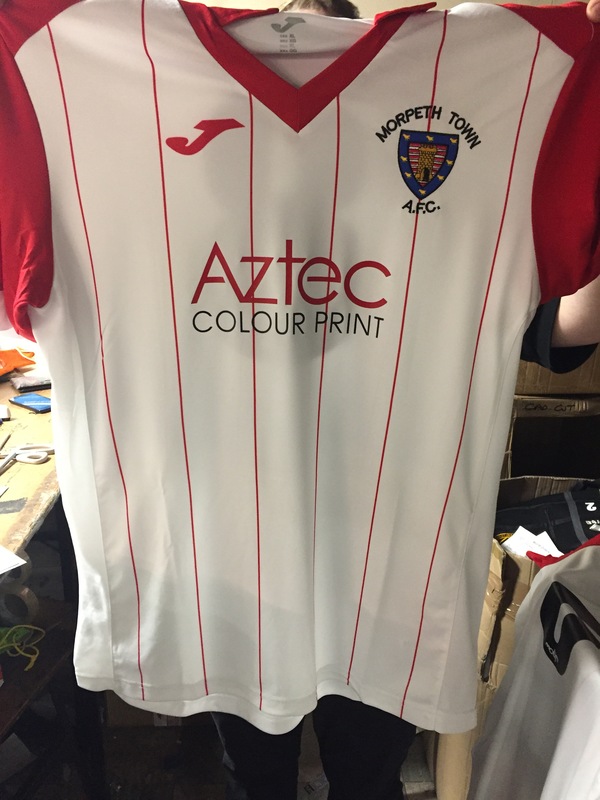 Aztec Colour Print proudly is involved with a number of local charities and clubs within the North East area. 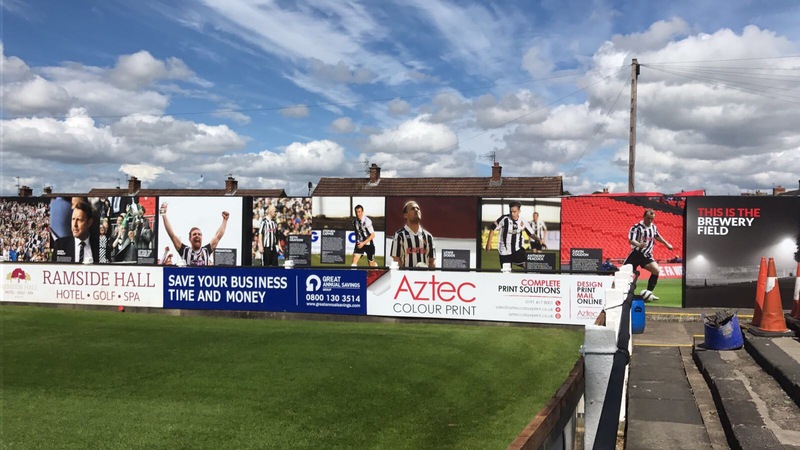 Working closely with Spennymoor Town FC we produce the club programme on a match by match basis, have helped redevelop the ground in preperation for successfull promotion campaigns. 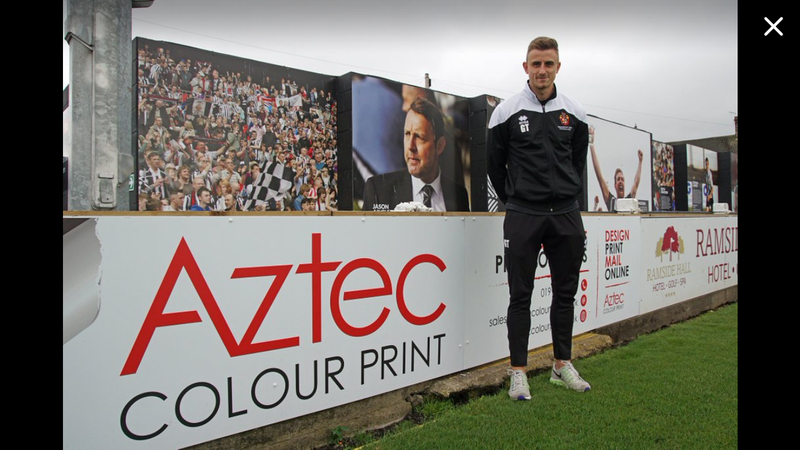 Aztec Colour Print are also proud sponsors of striker Glenn Taylor. During the pre season break of 2017/18 Spennymoor Town FC decided to re-brand their stadium due to recent back to promotions. We proudly produced all the signage for the stadium including the fantastic looking ‘Legends Wall’. We are proud kit sponsors of Morpeth Town FC and our logo is prominently display on their away kit for the 2017/2018 season. 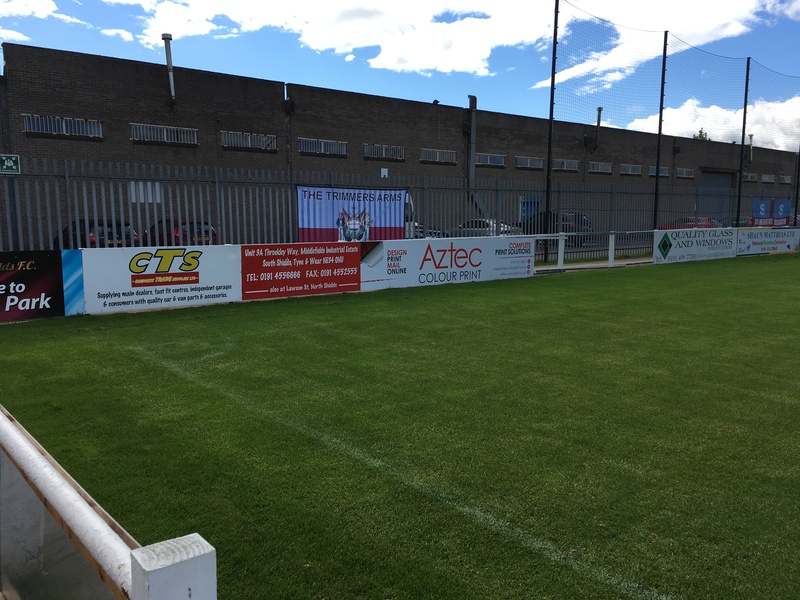 During the 2017/18 season we started to sponsor South Shields FC. A local football club who have acheived rapid success in the previous years. Aztec Print are proud kit sponsors of star striker Gavin Cogdon. 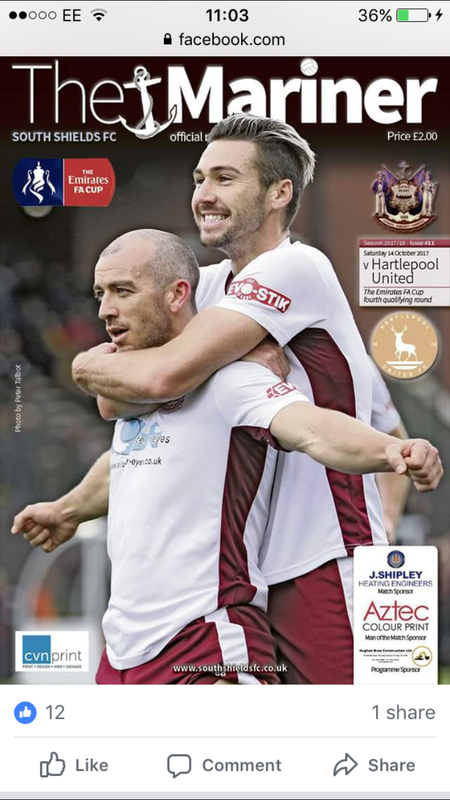 As well as sponsoring the kit of Gavin Cogdon we also took out space in the South Shields programme as well as taking out available space for a match day board. 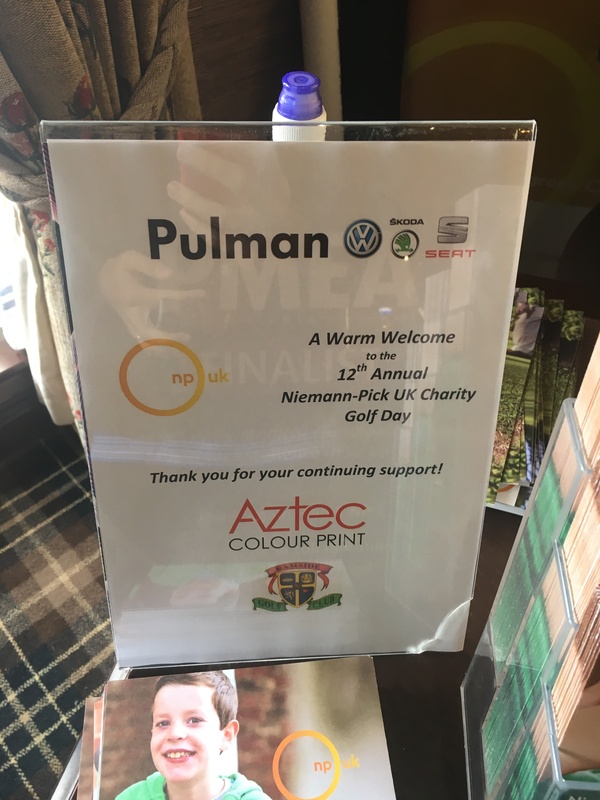 Every yeat local charity Niemann Pick host a gold day at Ramside Hall Hotel & Golf Club and we are proud to sponsor the event and help with any printing where we can. 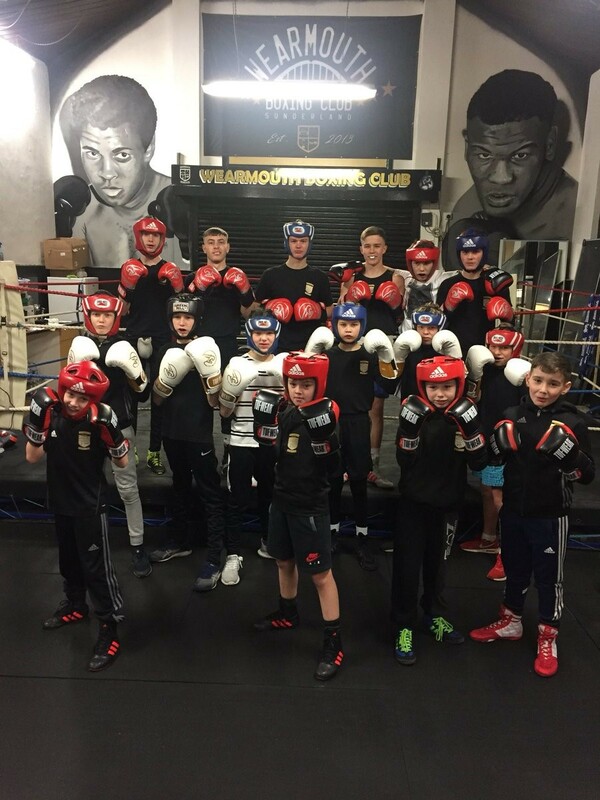 Wearmouth Boxing club is a local orginsation based in Silksworth and Aztec have been involved with sponsorship of fighters, events and help produce the boxing programme when they host their fantastic events. Next time you see their events get down to see some fantastic young boxing talent from their club.